Real Estate Affiliate Program Lagos - Earn 50% Commissions Per Sale! Real Estate Affiliate Program Lagos Nigeria - Earn Commission Per Sale! Real estate affiliate program Lagos Nigeria - This is the first choice property affiliate program in Lagos Nigeria and, indeed, the whole of Nigeria. Our real estate partner program (or associate program) pay affiliates, associates, or partners mouth-watering commission. This housing affiliate program is an international real estate partnership program and membership is free. That means you can recommend our services to potential customers anywhere you are in the world. Yes, you heard me correctly. It is FREE to join. The goal of starting a business is to make profit . . . and plenty of it. Therefore, you're likely wondering, "what's in it for me if I join your affiliate program?" "How much can I earn? How will you pay me?" If you're asking those questions, you're on the right track. It means you value your time and you're business oriented. Let's start with the first question, "what's in it for you? Why join our property affiliate program?" We recommend you join our real estate affiliate program because it has the potential to make you good money whether you wish to work part-time or full-time. So, how much can you earn from this program? The truth is . . . there is no limit to what you can earn. You see, every prefab building transaction is different in terms of the value of the transaction and the commission earned (in Naira terms) from the transaction. For example, a prefab house may cost 10 million Naira and you could earn 300,000 Naira from that particular transaction. 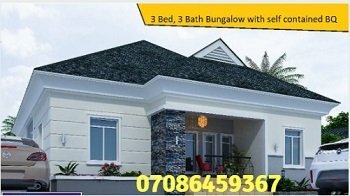 A prefab duplex, on the other hand, may cost 20 million Naira and you could earn 600,000 Naira referral commission from that singular transaction. The percentage commission you earn per transaction you refer to the company is fixed. But the actual amount in Naira terms vary. It's A Prefab House Affiliate Program! What kind of houses are we talking about anyway? We are talking about prefab houses and portable cabins. A prefab house (or prefab home) is a steel building constructed with steel materials and insulated sandwich panels for heat insulation. The common forms of prefab buildings in Nigeria are portable cabins (often called portacabins). Click HERE to see pictures. When you signup as one of our affiliates, you will be promoting our portacabin and steel construction business. And we pay you commission when you refer a paying customer to us. This Nigeria portacabin and prefab homes affiliate program is completely transparent! Simply click HERE to get more details. We have a second property affiliate program. 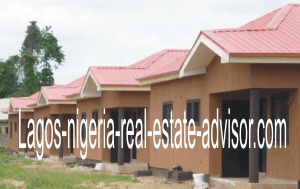 This second real estate affiliate program is for land for sale (and houses for sale) in prime locations within Lagos Nigeria. The good news is that you do not need capital to start this business. And you can become a millionaire within 90 days or less if you pursue this business opportunity with creativity. Fill the form below to download the FREE business manual for this business opportunity.